Epiq Sermia comparsion in 1999 and 2017 Landsat images. The main terminus retreated 1500 m on the north and 1300 m on the south side of the terminus. 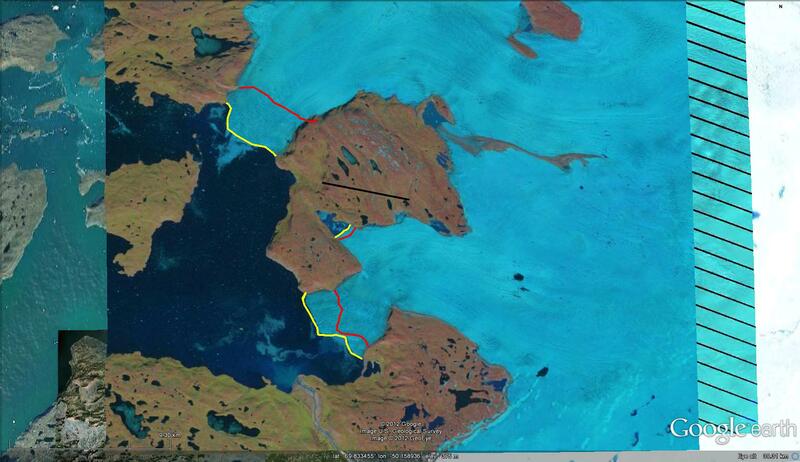 The area of the nunatak at Point A has expanded. There is limited change in the medial moraine at Point B. 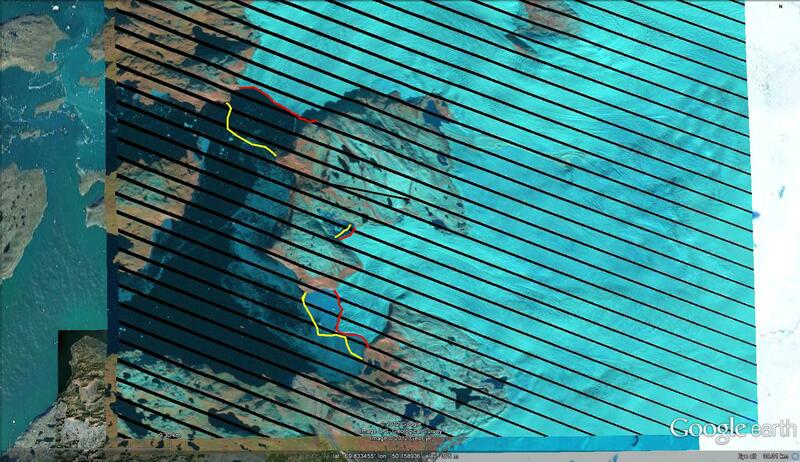 The margin of the glacier at Point C at the proglacial lake indicates a 600 m retreat. At Point D between the lake just to the north the distant has increased to the ice sheet edge. Epiq Sermia is an outlet glacier of northwest Greenland, 70 km north of Jakobshavn Glacier. Epiq Sermia discharges 2-3% of the ice volume that Jakobshavn discharges. The glacier was observed to have had a small retreat in the first half of the 20th century and a minor advance in the 1960’s. Currently it is undergoing a more rapid retreat. This outlet glacier behaves as other Greenland marine terminating outlet glaciers, thinning at the terminus induced by greater basal and surface melting, triggers thinning which reduces basal friction and allows for acceleration and retreat. 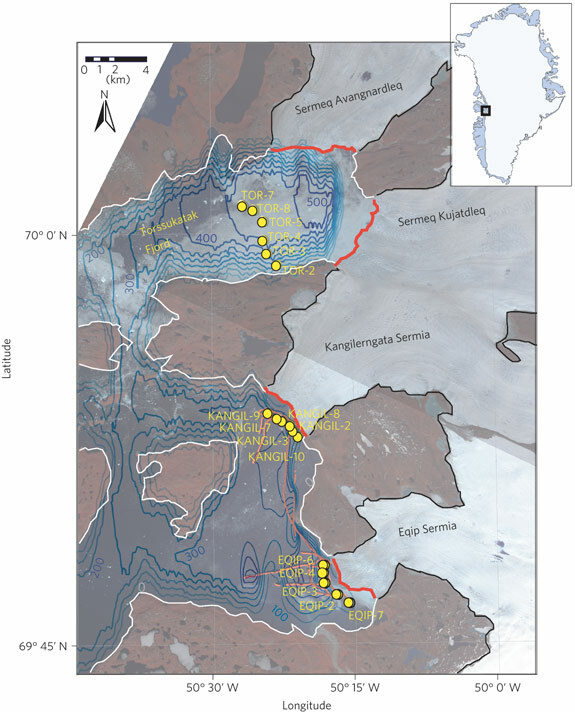 The glacier and its neighbor Kangilergnata Sermia have attracted recent research Rignot et al (2010) examined melting beneath the terminus tongue of both glaciers. They found rates of submarine melting 100 times larger than surface melt rates, but comparable to rates of iceberg discharge. Rignot et al (2010-PR) identified melt along the submerged bottom of Kangilergnata and Epiq Sermia where it comes into contact with warm ocean waters, which melts the glacier bottom, thinning the ice, shifting its grounding line, increasing its flotation, which leads to retreat. 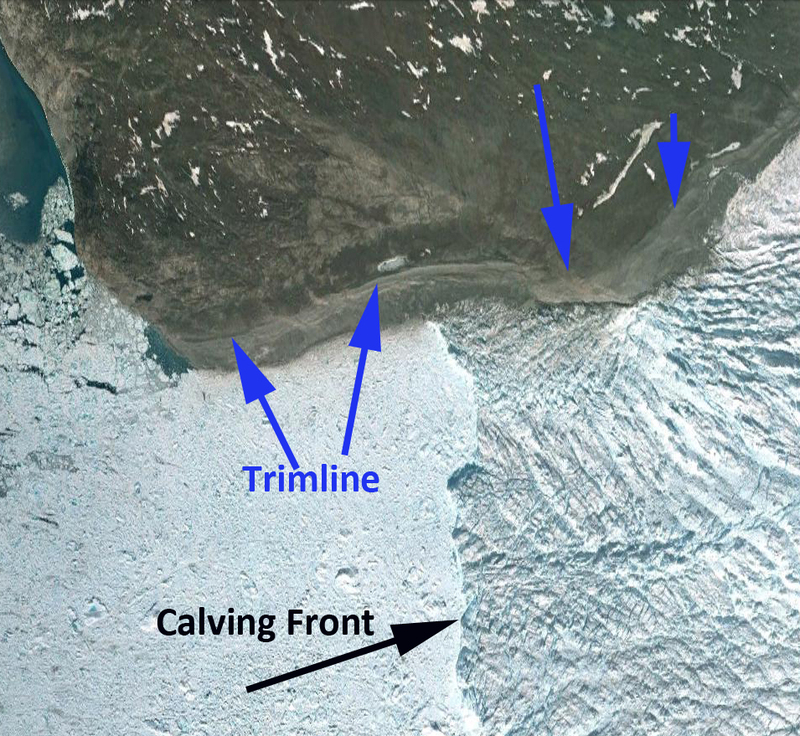 Figure 1 from Rignot et al (2010) indicates that water depths at the calving front are between 200-300 m deep, not that deep for the ice thickness observed. Retreat of the Epiq Sermia and Kangilergnata Sermia mirror that of other outlet glaciers, Howat and Eddy (2011) found that from 1964-2010 64% were retreating and from 2000-2010 98% of the outlet glaciers in NW Greenland were retreating. The also noted the average retreat rate rose from 20 m/year to 125 m/year, Howat and Eddy (2011). Specific examples of Umiamako Glacier, Upernavik Glacier and Kong Oscar Glacier. .
A comparison of a 2001 and 2011 Landsat image overlain on Google Earth imagery identifies recent changes. The image comparison indicate average retreat of 1.1 kilometers over the 10 years for Epiq Sermia and 2.5 km for Kangilergnata Sermia, the yellow line is the 2001 margin and red line the 2011 margin. Thinning of Epiq Sermia is also apparent in the retreat upglacier from the terminus with the trimline being exposed and retreat at the secondary terminus into the lake.